new Crown batteries. Come with the head light and tail lights and upgraded rims. 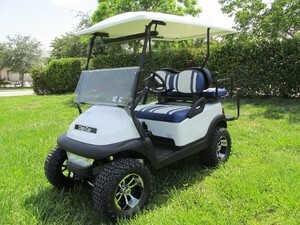 This golf cart is a 48 volt system.